Land Rover Defender information: everything you need to know if you own it, are thinking of buying one or just want to find out more about the original tough 4x4. Click on the links below for all of CAR magazine’s news, reviews, videos, scoops and spy photos of the Defender car range. The Defender is as rugged and built-for-purpose as cars come. Basic in every way, from its Ford Transit engine to its distinctly no-frills interior, it’s more of an agricultural tool than a car – and all the better for it. For more information on the Land Rover Defender, click on our further stories on the links below. Does this car need any introduction? Probably not. It’s as British as toad in the hole and a rainy summer afternoon at Glastonbury. Which is where it’d thrive, since mud is its natural habitat. It’s no surprise this tough-as-boots off-roader has forged such a loyal following, for it can drive up virtually anything mother nature throws at it; only a Jeep Wrangler comes close, and perhaps a Toyota Land Cruiser too. But while its off-road credentials need no further investigation, its on-road manners leave much to be desired. 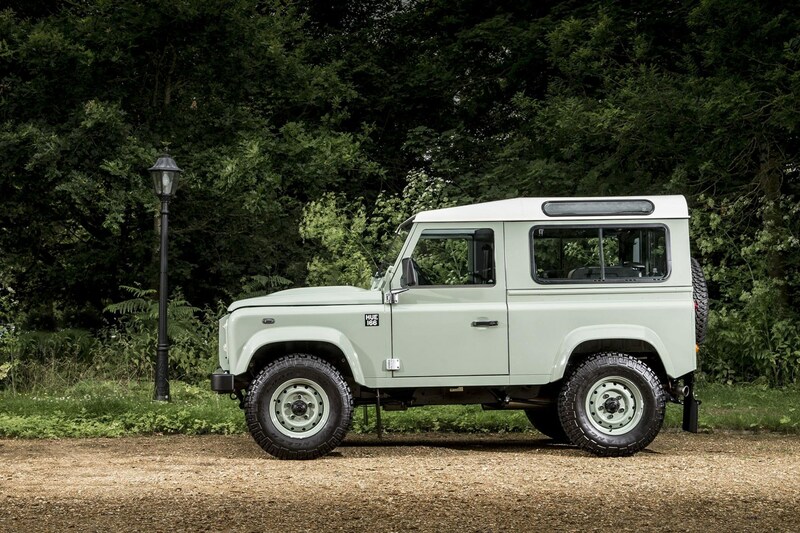 This is an incredibly old car now, and one nearing the end of its life, too, so we should not be surprised that the Defender feels like a fish out of a water on a long journey. Motorways will cause a lot of racket, but even on a country road it bounces, bobs and weaves. And make sure you fit in, because many taller drivers won’t get comfortable in that restricted cabin. But you can forget all this, because if you really want a Defender - and there are plenty of reasons why you might - then these worries are irrelevant. Just remember that mainstream Land Rover Defender production stopped in late 2015. Can Land Rover turn the ancient Defender into a racer?